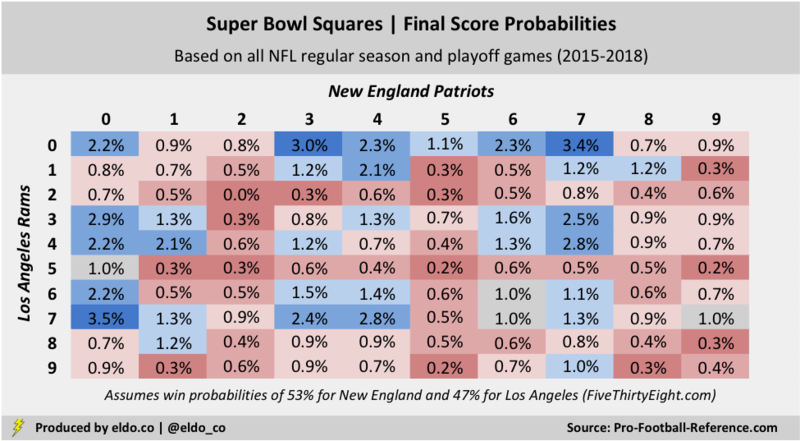 Many people have asked us what the odds or probabilities are of their Football Square to win. We use our good friend at eldo.co to give us the latest odds. Not only does he provide full analysis each season, but also provides detailed analysis on a per quarter basis, and even calculates the differential since the NFL changed the Extra Point yardage. As you can see, the odds are pretty much the same as you thought, but at least now you have the proof.